#Healthcare :-Things You should have to remove from your websites and do this immediately for better results. Messaging matters. Your brand message is what will set your apart from your competitors and other businesses alike. Too often, healthcare and hospital websites are filled with the same generic messaging that lack any empathy or emotional value. Words such as “leading”, “innovative”, “world-class”, etc. are common messages smeared across more websites than you can imagine. The best website messaging provides value to both your current and potential patients as well as your brand and immediately tells users how you can help. Web users don’t read, they scan. So it’s important to understand how to properly create content for your web pages that users will enjoy and understand. This is especially important in the healthcare industry, as many websites are full of advanced terminology only doctors can understand. In order to help keep your patients and users focused on the content that matters, you should utilize page headings, sub-headings, bullets, and paragraphs to direct users right to the information they want. Your content should also utilize imagery to complement text and entice users to learn more. While video content is all the rage right now, auto-playing media on websites is not. Auto-playing media is actually a distraction to web users and only ends up frustrating them as they now have to find out where it’s coming from and how to get it to stop. However, more than likely your users will end up leaving your website and head over to another that doesn’t distract them from finding the information they need. Allow your website users to make their own decisions on whether or not they want to watch a video or not by providing a link or embedding a video that only plays once a user hits play. Have you ever been engaged in an interesting blog post or web page only to get hit with a pop-up ad that restricts you from finishing the sentence you were on? You’re not the only one. Like auto-playing media, pop-up ads are a major distraction to our web users and will only encourage them to head over to another website. Remember, the goal of your healthcare website should be to inform and educate users on the ways you can solve the problems, questions, or concerns they have and pop-up ads simply don’t provide that value. Imagery is a crucial component for any website, but even more importantly for a healthcare website. Most healthcare imagery tends to leave a generic and unattractive impression. Using compelling images that speak to your audience, relate to the healthcare issues you solve, and help improve your message will help you stand out among your other healthcare competitors and stay memorable among your web users. If you can use real life images from your organization, great! If not, there’s plenty of options out there that aren’t the same cheesy stock photos that do nothing to properly represent your company or brand. While many web users are weary of giving out their personal information, even more are willing to do so if they are receiving a valuable offer. However, don’t scare your web users away by forcing them to fill out their entire life history in your sign-up forms. In reality, all the information you need from a new user is their name and email address. Maybe their company name and/or phone number, depending on what they are signing up for. If you have their name, email or phone number, you can get the rest of the information you need by reaching out and getting to know them. Shorter form lengths not only make users feel more comfortable in providing you with their information, but it also takes less time to fill out than filling out numerous form fields. This may also help when you finally reach out to learn more about this user and the problems they are having. At the end of the day, your healthcare website is too important to ignore. what should be on your website. There are certain elements your website must have if it is going to prove beneficial for your practice. Below, I have outlined what I believe to be the top 10 things every healthcare website must have. When a potential patient lands on your website, what is the ultimate outcome? The patient making an appointment. Sure, if your phone number is on your website, the person could call to make an appointment. But, phone calls are quickly taking a backseat to online conversions. The ability to fill out a form greatly increases the likelihood of the patient making an appointment right then and there. Since 2014, mobile users have been surpassing desktop users when it comes to online activity. Today, over 60 percent of internet access occurs on a mobile device. If your website is not mobile responsive, you could be turning away multiple patients a day. The average amount of time spent on a website is less than a minute. Nine times out of 10, patients will come to your website with a specific purpose. Whether it is finding a patient form, learning about a specific doctor/procedure or making an appointment, if patients can’t find what they are looking for, they will leave. It is important to make sure your website is easy for the user to understand and navigate. Pages should be grouped in simple-to-understand categories and links should never be hidden within subpage content. With many of our clients, we find that the Patient Testimonials page has the highest traffic than any other page on their website. Potential patients trust what real patients have to say about your practice more than they trust what you have to say about yourself. With the integration of forms, patient information will be flowing through your website. This makes it absolutely critical that your website is hosted on a secure server. Privacy laws are continuing to get increasingly strict, and a breach of patient privacy could be detrimental to your practice. A secure server will add a level of protection to all information passed through your website and help protect your practice. You may think that all website hosting is created equal, think again. Your website’s hosting environment can make or break your website’s performance. An unstable host can result in your website being down at unexpected times or unable to handle an increased amount of traffic. It can also affect page load times, which, in turn, affect user experience. In other words, a slow page load time could mean the loss of a potential patient. Your website should be an informational resource for visitors. If a patient finds your content to be useful and engaging, not only are they more likely to revisit your website, but they are also much more likely to trust your practice. The imagery, colors, and tone of content on your website should clearly communicate your brand’s voice. A patient should be able to tell who you are and what you do within a few seconds of landing on your website’s homepage. To achieve this, clear messaging is key. A blog is a terrific way to keep the information on your website fresh and new and keep patients coming back for more. It is also great in the eyes of Google and other search engines. The more often the content on your website is updated, the better Google sees your site. A blog is also very dynamic with the type of messages you can communicate. Whether its an announcement about your practice, information about a new procedure or tips for dealing with a certain condition, the possibilities are endless. 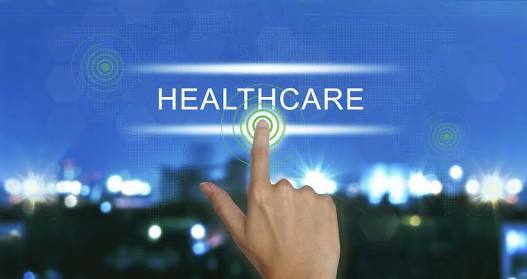 Eighty percent of patients begin their search for healthcare by using a search engine. Yeah, you read that correctly – 80 percent! Search engine optimization is the magic that makes your website show up in those search results. Google and other search engines have very specific algorithms that they use to decide which websites they will display when a user searches for a certain keyword. There are things that you can do to your website behind the scenes to make it more appealing to search engines and improve your ranking. Although this is the last item in my top 10, it may be the most important. The first step in helping a patient find your practice is showing up in the search results. If your website lacks any of these things, you need to act now. If built right and maintained, your website could be your practice’s greatest resource. we are experts in website development from start to finish. Contact us today to make your website a revenue generator. Previous Post Father Of Advertising “David Ogilvy”- on selling & advertising. Next Post #ECOMMERCE- Guide For DIY eCommerce business.